Svetlana & The Delancey Five are playing live at the Bainbridge Swing Dance on Friday, April 6th at Bainbridge Township Town Hall (17826 Chillicothe Rd, Chagrin Falls, OH 44023). Lesson at 8:00 p.m. Dance and live music 9:00 p.m. – 11:30 p.m. Adult $10, youth $8, family $25. 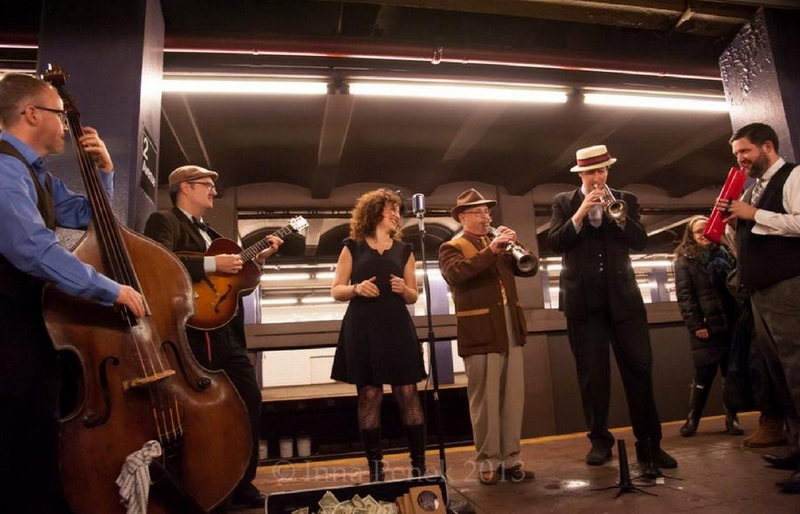 Svetlana & The Delancy Five are an outstanding New York based swing band. They seamlessly move their audiences from sophisticated retrospection to a rowdy joyous dance party. Svetlana and her band have headlined sold out shows in the premier venues and festivals across the U.S.A. and internationally, gaining critical acclaim from audiences and press alike by presenting exhilarating shows that combine the charm of Svetlana’s sultry swinging vocals, with the excitement, power, and unpredictable improvisational aspects of her “little big band”, the Delancey Five. Find out more at Svetlana.